In any sport injuries can happen, but for the throwing athlete they DON’T have to! 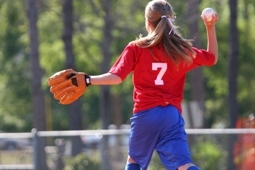 There are thousands of baseball or softball players of all ages experience shoulder or elbow pain at some point during their athletic career. Most of these injuries are ABSOLUTELY PREVENTABLE! To do this you must understand why injuries occur, what is actually happening, and how to react when they do. 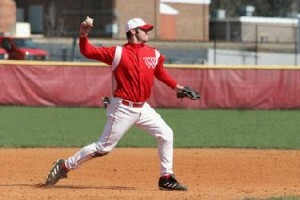 “Dead Arm”- ill-defined pain on the outside of the athlete’s throwing arm. Pain is usually defined as dull and deep and there is a common complaint of weakness of “dead arm”. This is usually caused by a compression or “pinching” of a nerve that runs down the athlete’s throwing arm. This dysfunction is often caused by fatigue and overuse and will often improve with rest. If does not decrease with rest the athlete should go see his/her MD or physical therapist. Ulnar Collateral Ligament Injuries- a sprain of varying degrees of the ligament on the inside of the thrower’s elbow. It is most often associated with pain to touch, pain during the early –to-mid stages of throwing, and possible numbness and tingling below the elbow. This injury is most commonly caused by abnormal forces through the elbow created my poor throwing mechanics (Especially with breaking pitches). There are also some obvious physical signs that a problem is present or may be developing. An individual that presents with redness or discoloration at the elbow or shoulder, swelling or tightness, sharp pain, decreased grip strength, or loss of elbow and/or shoulder range of motion should be evaluated by a health professional before continuing with recreational or competitive throwing. Injuries to a throwing athlete are common, but can be avoided. However, they must overuse of the throwing arm is an epidemic. A thrower should have 3 months of active rest from throwing every year. It is important to note that approximately 80% of Hall of Fame Pitchers grew up above the Mason-Dixon Line, where the weather prevented them from throwing all year round. 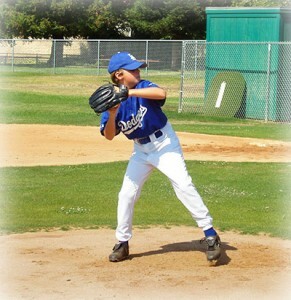 In addition, throwing athletes of all ages should avoid pitching for more than one team during a season. It is important to realize that throwing a baseball or softball is a full body activity. Consequently, strengthening exercises during the season and off-season should not solely concentrate on the throwing shoulder. Complete body workouts consisting of strengthening, stability training, speed, flexibility, and agility should be implemented. As experts in movement, exercise, and sports rehabilitation we are capable of assisting you any aspect of a throwing athlete’s training or rehabilitation. Our physical therapists will be able to observe a throwing athlete and determine areas of weakness and/or prevent potential problems that could occur. As rehabilitation specialists, we are can also treat and guide you through the healing process should an injury occur along any aspect of a throwing athletes career. If you seek to maximize your potential, avoid injury, or if you need treatment to help you return to your sport please do not hesitate to call our office and speak to one of our physical therapists.